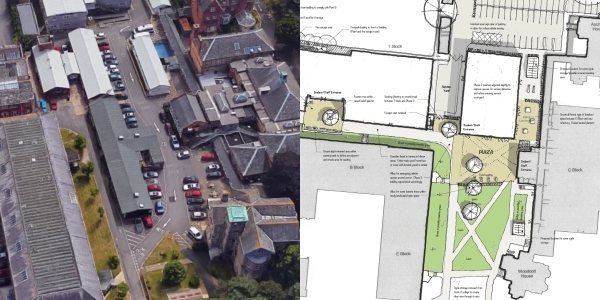 Bournemouth Borough Council: Pure Town Planning are pleased to have secured full planning permission and listed building consent for major redevelopment works at the Lansdowne Campus of the Bournemouth and Poole College. 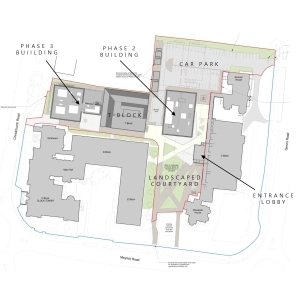 The scheme aims to vastly improve the student experience and efficiency of the campus by replacing aging and unfit buildings with new purpose built accommodation, by upgrading existing buildings and creating a new landscaped car-free central courtyard. 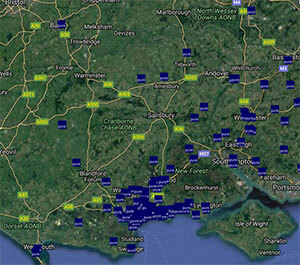 The scheme was designed by Winchester-based architects ArchitecturePLB with landscape proposals by UBU Design. The Lansdowne campus contains no fewer than three listed buildings which are linked to and surrounded by a complex of further buildings of varying ages. Around ten years ago a controversial consent was granted for the demolition of everything on site except for the three listed buildings themselves and the erection of a large three storey building threaded between them. But the promised Government funding for that scheme was withdrawn at the last minute and since then the College has had to repair, refurbish and make do with the buildings it had. a new central landscaped courtyard – for the first time the College will have a car-free enclosed green amenity space in the tradition of the quadrangle. Planning permission and listed building consent were granted by Bournemouth Borough Council under delegated powers following extensive and detailed discussion and consultation with planning officers, conservation and urban design officers. The main aims were to secure the best possible development for the College and the wider town whilst ensuring the listed buildings were fully respected and enhanced by the proposals. 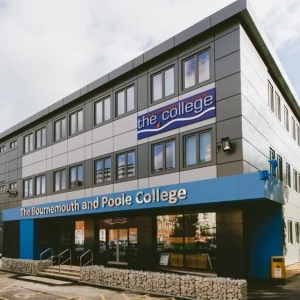 The Bournemouth and Poole College is a near-neighbour of Pure Town Planning headquarters and we very much look forward to seeing the first phase of works on this very exciting campus development. This is the latest success for Pure Town Planning in a series of tricky large-scale proposals involving listed buildings following our work on the Parkstone Water Tower scheme – and there are more we are working on. If you have ambitious plans involving a listed building, why not contact Pure Town Planning to find out how we might assist in negotiating the best possible development?